Does your home feature a wood burning fireplace? Bring that drafty inefficient fireplace back to life. A new realistic gas log set is a quick and affordable way to do just that. Gas logs are available in many shapes, sizes and styles to fit in with any type of home décor and any budget. Once you install a set of gas logs, you can sit back and enjoy the dancing flames from your fireplace. To do so, simply use the flick of a switch or click of the remote control. Vent free products make an excellent choice to add supplemental heat to an area. These products use air from within the room for combustion then “vent” the heat back into the room. Because of this, some people notice an odor that is associated with combustion. Most affected by the odor are allergy and asthma sufferers (along with the elderly and young children). The manufacturers of vent-free products recommend a window or door be cracked while operating your vent free product. If you suffer from breathing problems, make direct vent products your first choice. We offer vent free gas logs ranging in size from 18-inch to 36-inch. We sell manual and millivolt (remote ready) and IPI (Intermittent Pilot Ignition), gas logs certified for masonry fireplaces or vent-free fireboxes. Millivolt models are designed for use with a remote control or a wall switch and feature a pilot light that must be lit at the beginning of every heating season. IPI models feature a full function remote control and they DO NOT have a pilot light that requires attention. The unit features electronic ignition and is lit by pressing a button on the remote control. The power required to light the logs is provided by a battery pack. G&B Energy & Appalachian Energy sells, installs and also services gas logs from many of today’s industry leaders, including: Monessen, Empire/White Mountain Hearth, R.H. Peterson/Real Fyre & Heatmaster. Click one of the links below to view the catalogs of three of the most popular vent free gas log brands we sell! Vented gas logs create ambiance and the appearance of a roaring fire. They do so without the hassle and mess associated with a wood burning fire. They are best suited for customers that want a small amount of radiant heat but desire the look of a roaring fire. Because the damper in a fireplace must be locked in the open position when these are installed, vented gas logs are very inefficient compared to a vent free gas log or direct vent insert. They do however give the most realistic appearance of any gas log set available. Vented gas logs are also available in a variety of styles and sizes ranging from 18” up to 60”. We recommend models by R.H. Peterson/Real Fyre & Heatmaster. 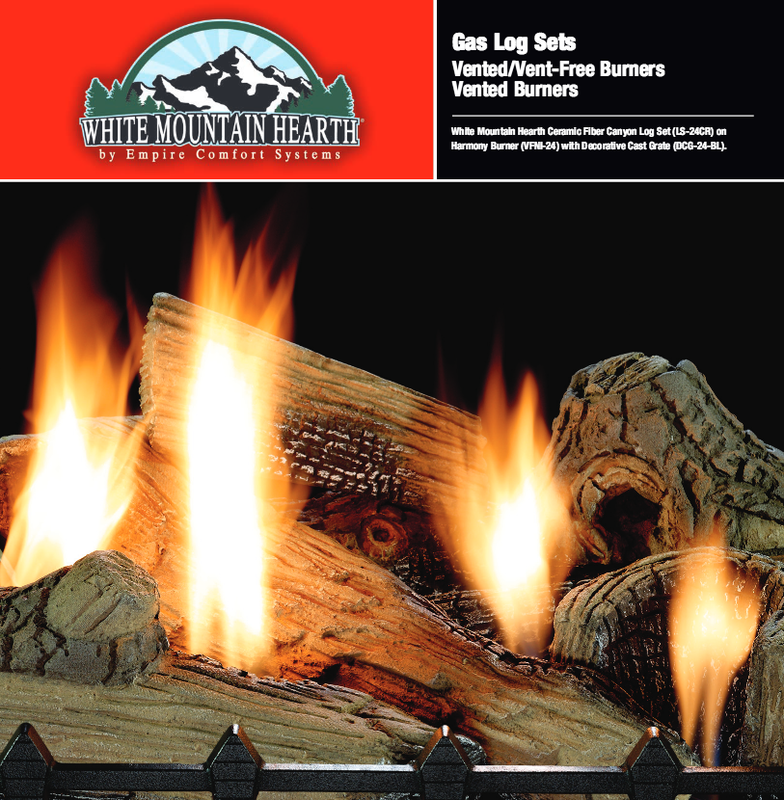 View the catalogs of three of the most popular vent free gas log brands we sell! Click to view a Gas Log Fact Sheet and a Zone Heating guide provided by the Hearth Patio & BBQ association please click here. We recommend the installation of a Carbon Monoxide detector in the homes of ALL of our customers! For a no-obligation estimate, please contact the location nearest you as listed on our Contact page.